Bob Sportel was still in his early 20s when he bought a well-seasoned 1957 Chevy pickup truck for 75 dollars. The truck was primarily used on a farm before Bob became its owner, so it had all of the dents and scars associated with the hard work it encountered on the farm. Bob was about two years into a long career with a local farmer’s co-op business when he purchased the truck in October 1976. Bob surmised the truck would provide basic transportation for his daily commute to his job for the next couple of years. He was well off the mark because Bob retired from his full time job with the local co-op in his small Minnesota community in 2015 –– long after his estimated short-term game plan for the Chevy. 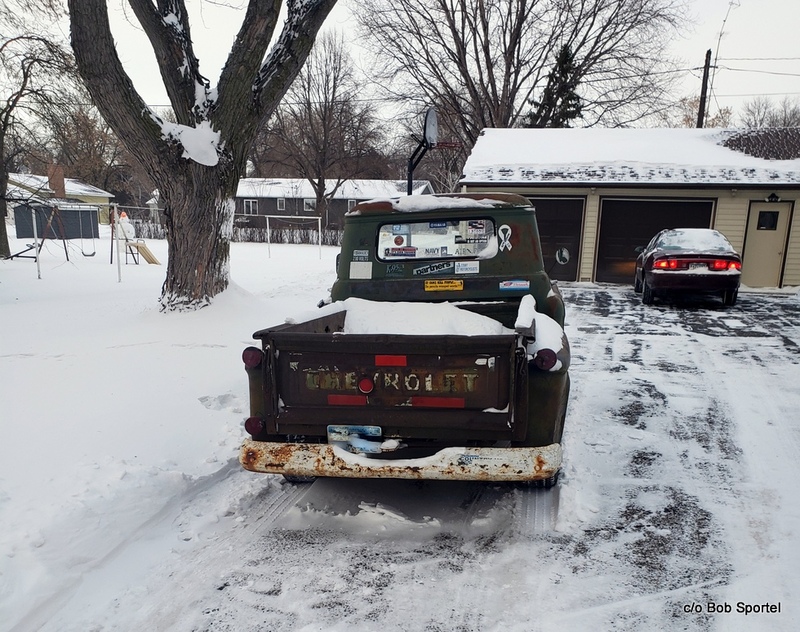 The owner and truck had traveled down the same road together (about a ¾ of a mile in Bob’s estimate) for almost four decades through harsh Minnesota winters and short Minnesota summers. 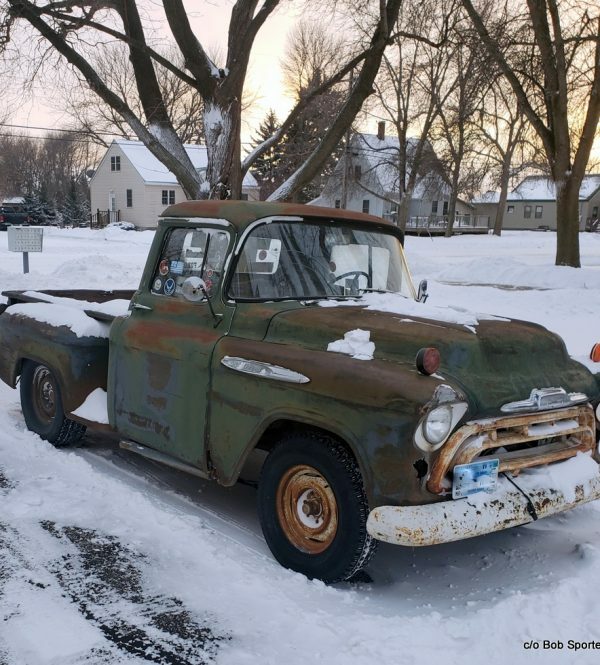 Bob kept his truck’s maintenance to a minimum over 38 years of full time employment and believes he has added a couple of hundred thousand miles on the Chevy truck during his time as an owner. Surprisingly, he was able to rein in his maintenance costs and kept them under a thousand dollars according to Bob’s estimate. The reward was a long history of reliable transportation provided by Bob’s Chevy, although he did not invest in cosmetic upgrades over the passage of time. 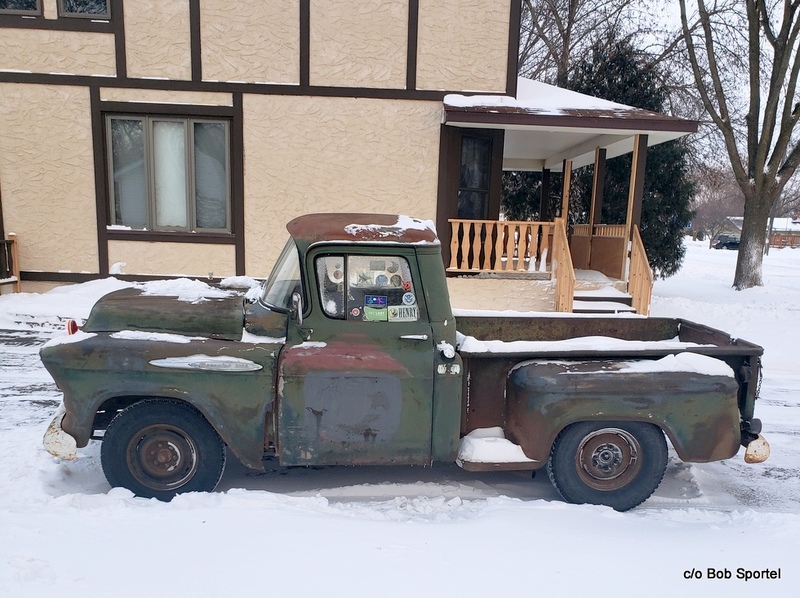 As mentioned earlier, the truck was not exactly pretty when Bob became its owner in late 1976, so he literally held the truck together with duct tape on its interior components and bondo/rivet procedures on various exterior components of the aging Chevy pickup. For example, the truck’s headlights are now held in place by a liberal application of body filler and the driver’s side front fender is now secured by rivets. A generous amount of duct tape adorns the upholstery in the Chevy and Bob can literally see the road under him while driving in his truck. 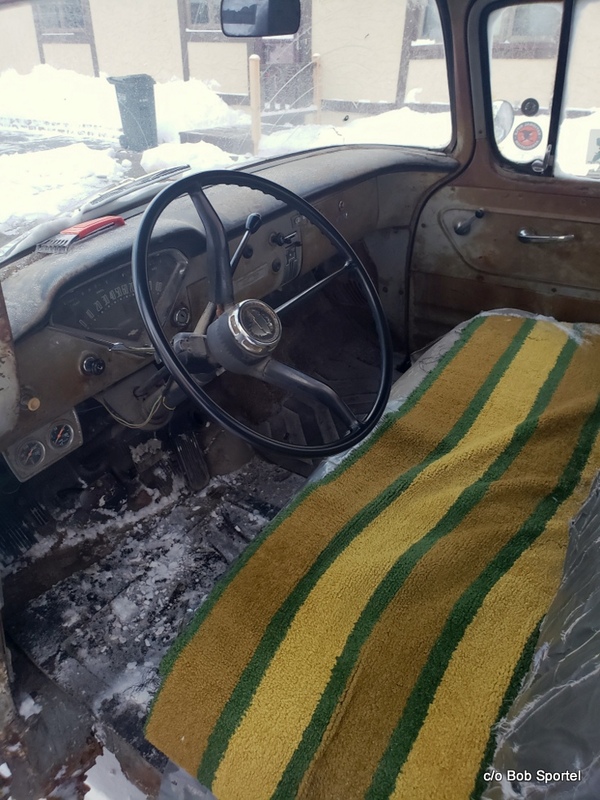 However, he has no plans to change the Chevy’s rusty floor pan situation because he is a practical man who initially bought an inexpensive truck in ‘76 and wants to keep it that way. The truck’s main strength is its reliability delivered through its original 235-cubic-inch straight-six engine coupled to a three-on-the-tree manual factory transmission. The truck has no radio because it was built for basic ownership with minimal passenger comfort for its hard-working owners. 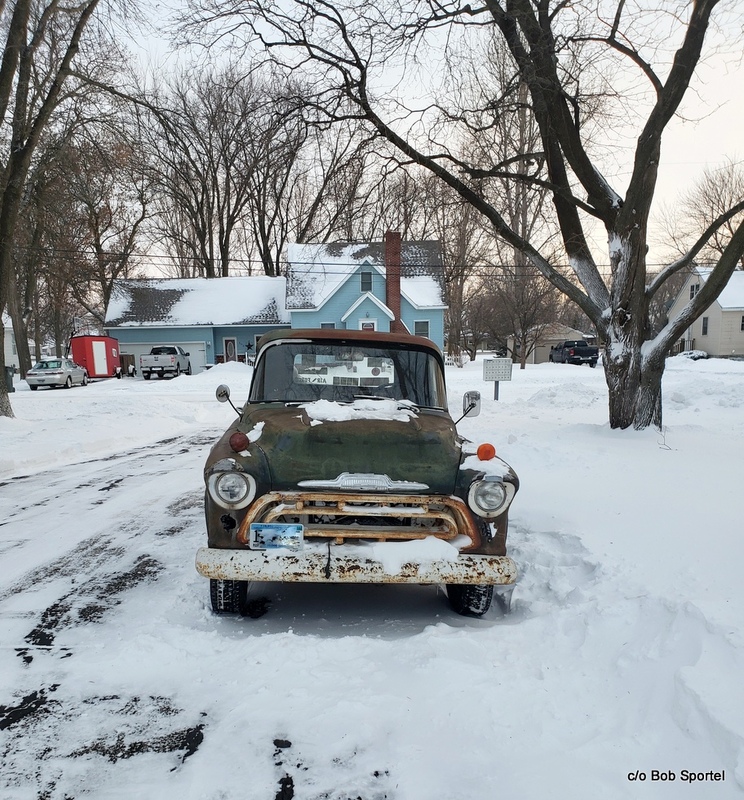 Bob began to plug in the truck during frigid Minnesota winters so its block heater could heat the engine for an easier start. 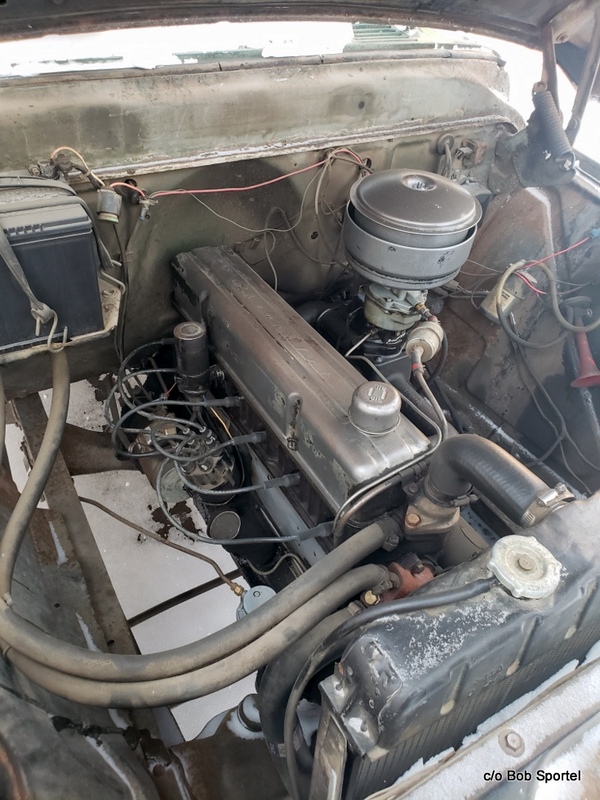 He mentioned the truck also has a manual choke that requires a little finesse to fire up the engine, but the procedure has become easy for Bob and his son Kyle. The result is a reliable winter vehicle for Bob that is still an easy cold starter for him. He did add that his truck requires a warm-up period to provide minimal heat to the Chevy’s cab. 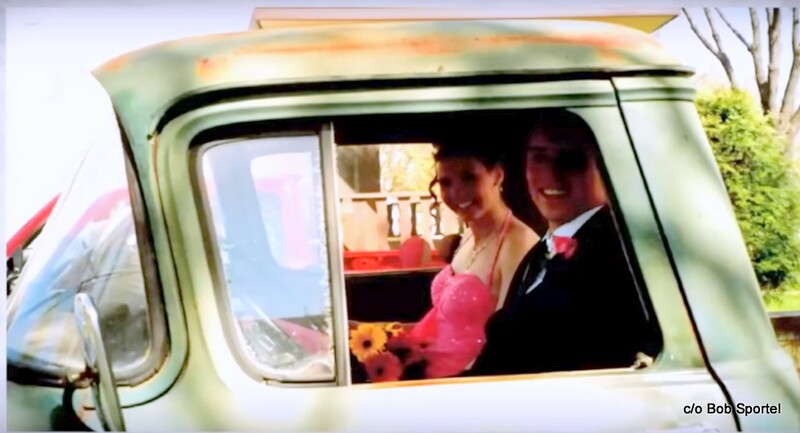 The truck’s age only concerned Bob when his daughter decided to use it for her 2005 high school prom. He was unsure whether its long history of reliability would end during this memorable moment in his daughter’s life. 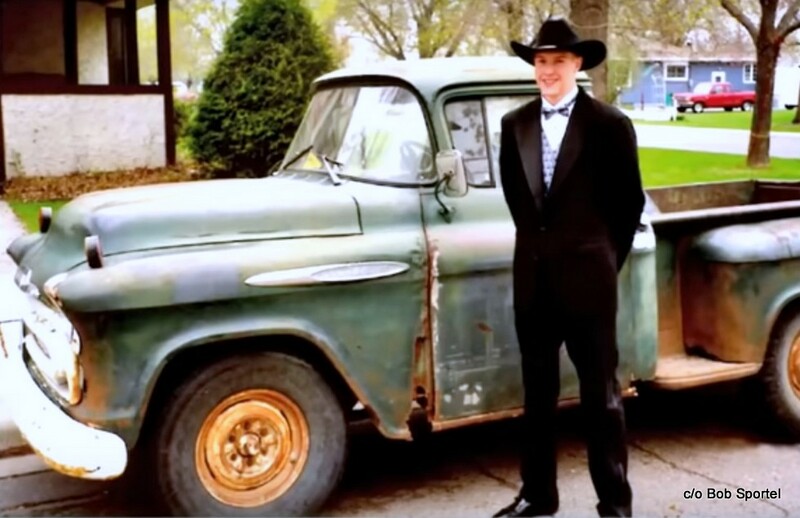 Bob’s fears were unfounded because the old pickup performed like a champ for his daughter and granted her wish to attend her prom in a family legacy vehicle. 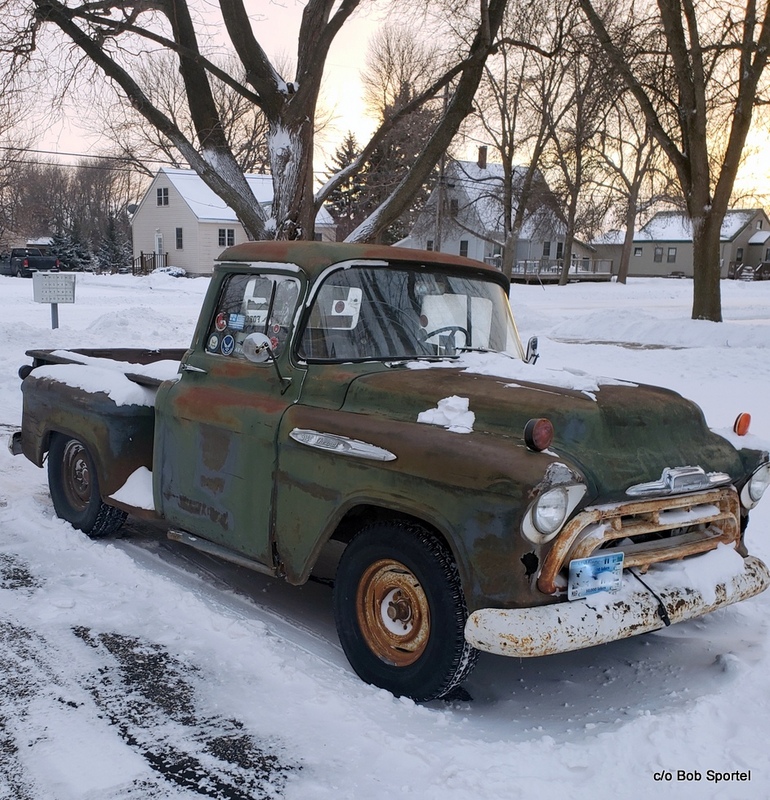 Bob and his Chevy truck now enjoy a semi-retired life because Bob did indeed retire from full time work at the co-op in 2015 and has taken on a part time role with the company. The pace is now leisurely for both of them in 2019, so we at MyStarCollectorCar call that news a very happy ending for this car guy story.